Our business is people driven, and our success hinges on the strength and quality of our relationship with customers, suppliers and other business partners. We work with talented, team-focused people who share a sensible set of business values and a passion for delivering excellent service. Everyone at Pacific Basin is With You for the Long Haul. Our vision at Pacific Basin is to be an industry leader, which means not only satisfying our customers’ needs, but continuously exceeding their expectations. As a Chartering Manager and former Operations Executive specialising in parcelling, I am closely involved in port captaincy, and I aim to coordinate shipments and optimise cargo stowage in the safest and most efficient and cost-effective manner. This requires careful technical calculations and ship coordination, and the active management of relationships with our customers, stevedores, agents and all parties involved in the process of getting our ships safely loaded, discharged and back out to sea. I communicate regularly and visit with customers to ascertain and fully understand their requirements so that we can better tailor a bespoke service. I also visit ports and ships, and meet with shippers, captains, crew, agents and terminal operators. This allows me to build great working relationships and further enhance my understanding of technical and operational matters, so that I am better equipped to prevent potential issues and deal with issues effectively when they arise. My job also requires that I communicate well with my colleagues who, located worldwide, are passionate and hardworking and can always be depended on for solid support. Through teamwork and communication, we provide each other with a wide range of expertise, sharing valuable technical and local knowledge, ensuring that operational challenges are met promptly, efficiently and round the clock. At the end of the day, my fulfilment comes from knowing that we have delivered a great customer experience. Pacific Basin’s Durban office was established in December 2011, and the years since commencing this operation in South Africa have been among the most fulfilling of my 24 years in shipping. Despite the difficult market conditions of recent years and the challenges of establishing a commercial presence in the region, we have overcome all obstacles and made good progress through close, constructive interaction between our Durban team and our Pacific Basin colleagues globally. The willing support of our worldwide commercial office network enabled us to grow and quickly become a leading operator in the Southern and Eastern African region. Our progress in Africa is also attributable to the partnerships established with our customers and the support they have given us. The longer-term partnership approach is key to what differentiates us from our competitors. Rather than offering a standard spot freight service, we seek a far greater and closer engagement with our customers so that, face to face, we can fully understand their needs, offer a flexible service and work together to overcome the frequent challenges that stem from Africa’s less developed infrastructure and corresponding logistical challenges. Pacific Basin’s corporate tagline – “With you for the long haul” – epitomises our approach to business, both internally and externally. It echoes a philosophy that each of us embraces, as it guides our Durban team to strive for the best possible long-term relationships with our customers, partners and our colleagues worldwide. When promoted to ship’s Captain several years ago, I received encouraging words not to carry alone the problems I might encounter on board, but rather to share them with the Pacific Basin team ashore. I still take comfort from the knowledge that guidance from the shore team is just a call away. I am also comforted and encouraged by several other homegrown Pacific Basin initiatives. All ships’ officers face their share of delays and incidents, but the Company stands by its no-blame culture which engenders confidence on board and a willingness to learn from mistakes. Pacific Basin’s pre-joining training goes a long way to ensuring new crew members are ready for deployment, resulting in safer operations and smoother cooperation on board. Crew are encouraged to report defects to the shore team within 24 hours so the Company can address issues before they escalate. Through its External Check Bulletin and Experience Feedback initiative, the Company broadcasts developments within the fleet and the industry to update our officers and crew on relevant issues. I consider Pacific Basin to be well on its way to being the leader in its sector both in scale and in the quality of its fleet management. I am proud to represent Pacific Basin in our business at sea and with ports and customers around the world, and I am confident that through typical Pacific Basin teamwork we are able to deliver the best possible service to the Company’s customers. I was Chief Engineer on board Pacific Basin’s first full-Filipino crewed vessel in 2006 and have served with the Company ever since. I have encountered challenging situations along the way, which have been made easier by the good, trusting relationship I have with my capable teammates at sea, our colleagues ashore and our customers. Supporting each other, and working as a team to make almost anything possible in the running and maintenance of our machinery, we strive for a common goal: to operate the vessel safely and efficiently. While the ships and machinery we operate are subject to wear and tear, I believe the strong personal relationships forged with my colleagues have the ability to stand the test of time – and even strengthen over time. This is because they are founded on honesty, integrity and mutual respect, which to me is priceless. One of Pacific Basin’s core values resonates especially strongly with me: we operate with the highest standards of diligence and care, with the highest priority accorded to ensure safety. This principle combined with the constructive feedback I receive and the challenges that our industry throw at us inspire me to continually improve my abilities through research and study. I value the tailored support and the technical and operational resources that we regularly receive from our shore-based colleagues which, combined with experience and constant learning, contribute significantly to advancement and fulfilment in the workplace. Great customer service at the commercial level is nothing without an equally high degree of technical reliability and crew quality. Like many of my colleagues in Pacific Basin’s technical department, I draw on many years of experience at sea and on shore to deliver a high-quality service, effective management and the best possible support to our crew who run our ships. With a focus on safety and routine technical management of our ships, we work with our teams at sea and our suppliers and service providers ashore to deliver and maintain reliable hardware ensuring that our vessels are ready to trade wherever our commercial colleagues need them – ultimately to reliably satisfy the freight needs of our customers around the world. 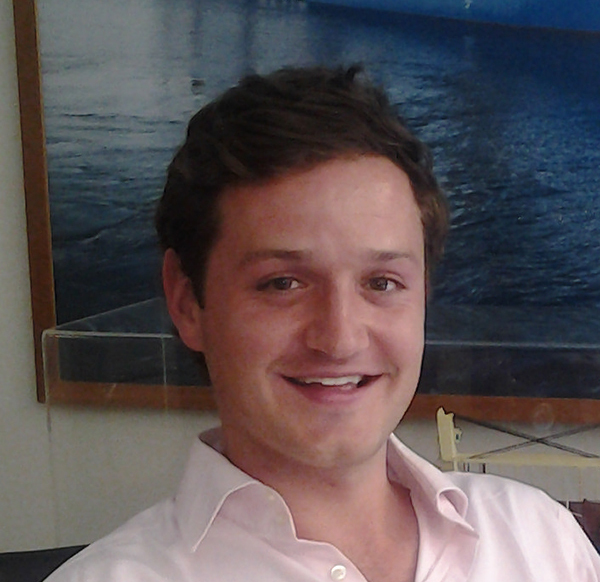 Investor Relations work is challenging and interesting, especially in the cyclical shipping industry. Every year we connect through calls, meetings and conferences with over 1,000 investors, analysts and journalists interested in our performance, industry developments and even what our peers are doing. We monitor closely the overall dry bulk market and global financial and economic developments so we are able to explain movements in our share price that are driven by industry and other external news. We rely on internal data from our colleagues so we can provide our investors with the most accurate and relevant information they need to evaluate our business, our performance and our prospects. In doing my job I am guided by the acronym “GIVE” with my ultimate aim being transparency and to GIVE relevant information to the investment community accurately, equally and timely. Since our listing on the Hong Kong Stock Exchange in 2004, we have developed a strong track record in investor relations. I am very proud of the recognition we have received in the form of regional and global awards for excellence in investor relations, which make our jobs even more fulfilling! Our investor relations team echoes our corporate tagline “with you for the long haul” knowing that our shareholders invest in Pacific Basin for the value and solid returns we are equipped to generate over the longer term. 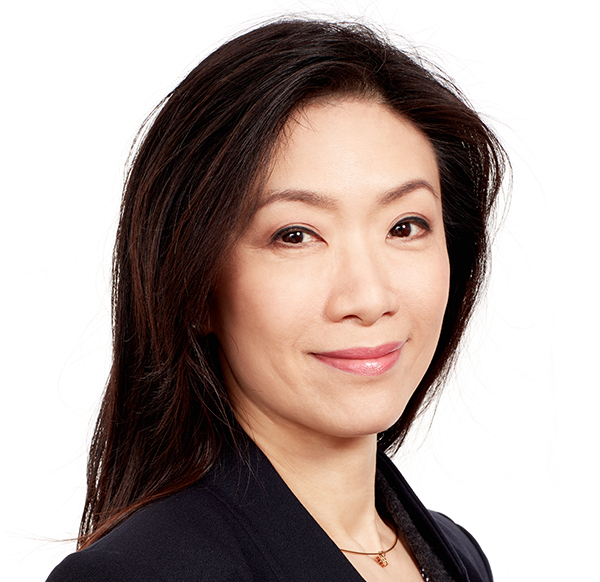 Emily Lau joined Pacific Basin February 2005, and she currently serves as General Manager, Investor Relations. 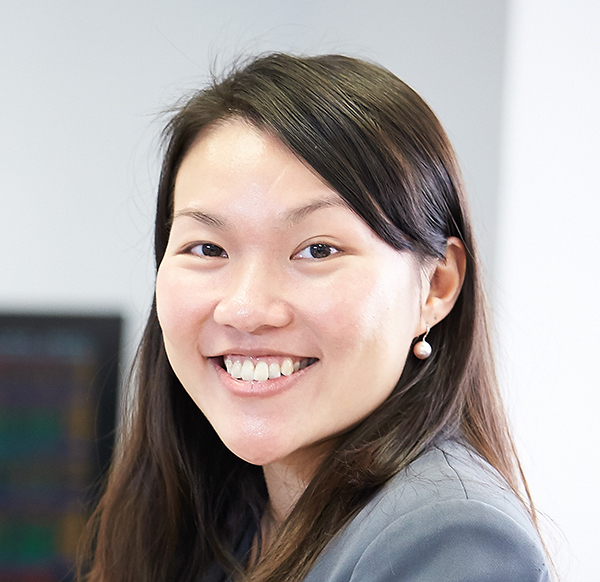 Emily is a three-time winner of Institutional Investors Asia's Best IR Professionals award, as well as the Best IR Team awards from The Asset Awards 2017. Her commitment to her work and our shareholders has resulted in a number of awards for Pacific Basin. I joined the Pacific Basin fleet in 2007. Looking back, it has been a successful and fulfilling several years, both for me and for all Pacific Basin ships’ crews. Pacific Basin’s unique training system – supported by external check bulletins, experience feedback, leadership and teamwork coaching and other home-grown concepts – have broadened our vision, enriched our knowledge and enhanced our professionalism. 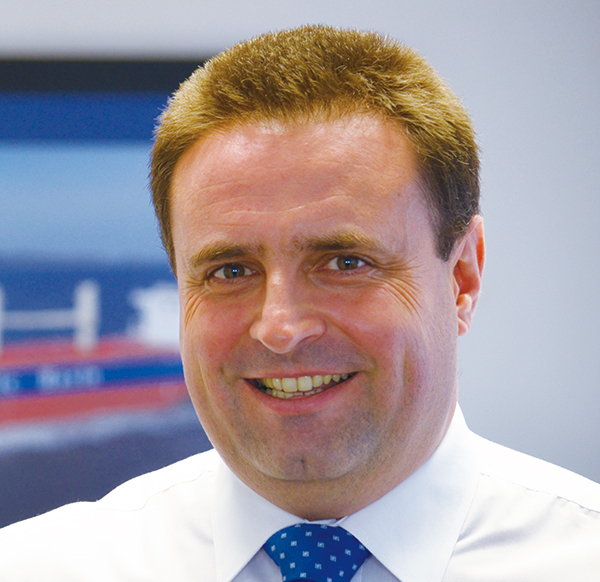 I am sure I speak for all Pacific Basin staff at sea in saying I appreciate that the Company remains as supportive as ever to its ships’ crews – in fact more than ever – even in the protracted poor freight market over recent years. This is demonstrated by the seamless and best 24/7 support that we seafarers enjoy from the Company’s shorebased technical team. As a Pacific Basin Captain sailing all over the world, one corporate value in particular is engraved on my mind: we are all Pacific Basin corporate ambassadors – each of us embodies the Company’s values and strives for excellence through dedication, continuous improvement and teamwork. I see this in everyone I serve with, and this drives our productivity and performance across the fleet. 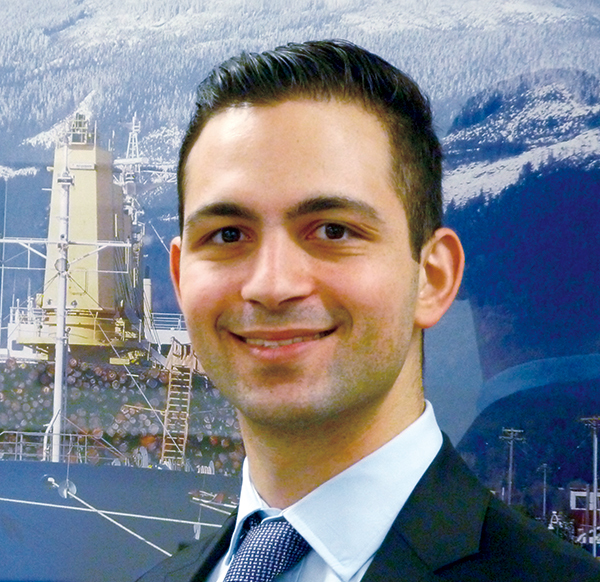 I am proud to represent Pacific Basin around the globe, and I strive to achieve a few core goals: the high quality maintenance and safe running of my ship – every day – and the sound management of my ship’s business in port. Through these goals, my team and I seek to deliver the best service to the Company and its customers. 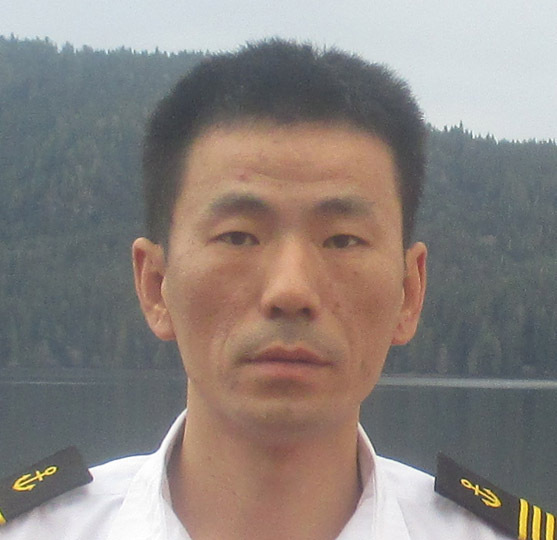 Wang Lin joined the Pacific Basin fleet as Second Officer in 2007 and was promoted to Captain in 2013. 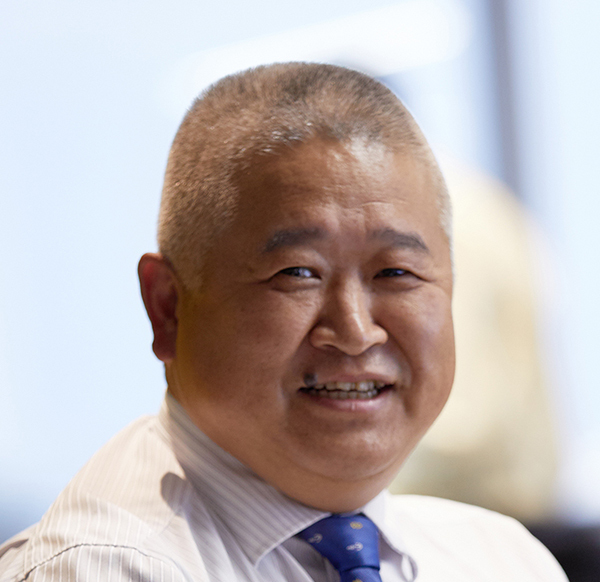 After several years in an accounting role at Pacific Basin, I became closely involved in the formalisation of our Corporate Governance and Risk Management functions in 2005. This was a significant development for me, as I would now become concerned with questions about what, why and how we monitor and manage our business activities and the associated risks, and how we communicate these both internally and to our external stakeholders. This would have been a much more daunting project were it not for the culture of openness and team spirit at Pacific Basin, and the support of an experienced and understanding Board of directors. My role requires that I work closely with the Board to safeguard the Company’s assets, business and people. This involves building and maintaining an appropriate risk culture within the Group, and working closely with our departments to ensure that they have established meaningful policies and controls. Our risk management team offers itself as a mirror to help our various functional units monitor compliance and reflect on their performance against relevant policies and controls. I find my role extremely rewarding due to the need for regular interaction with colleagues from all departments and functions. I enjoy being involved in wide-ranging business issues and procedures, and I gain much fulfilment from my contribution to the constant and successful evolution of our processes and strengthening of our risk management culture to better meet the needs of our business. I am proud of what Pacific Basin has achieved in this respect – and our efforts have been recognised in the shipping and governance communities both locally and internationally – but we must never become complacent. I look forward to the challenge of meeting or exceeding ever-evolving corporate governance standards, with a promise to our investors and other stakeholders to remain diligent in everything we do. My team and I manage the accounting of our ships’ operating expenses. Accuracy of our numbers and reporting is our key responsibility, and we tailor our reporting to address the specific needs of different functions in the Company. But it’s not just about providing numbers. We track and analyse our operating costs in detail, reporting to and working with our Fleet Director and his technical, procurement and crewing managers to ensure precise budgetary control. Fleet safety and productivity is key, so we will not cut corners. However, managing our costs responsibly with the rigour that we do is even more important in challenging market conditions as we face now. I am proud of my team’s hard work and productivity. I feel fulfilled working as a team with the agility necessary to respond to requests for additional analysis with the aim of finding ways to better manage our costs. I also enjoy our contact with external stakeholders, such as our ships’ agents around the world to verify costs and settle expenses. I have been doing this for over 35 years and most satisfying of all is training and mentoring my staff ashore and teaching our ships’ captains about the on-board preparation of vessel accounts and reports. My team’s responsibilities impact the transparency and quality of our operating cost reporting right the way up to our shareholders while also equipping our technical operations with the data and insight to enhance our competitiveness. 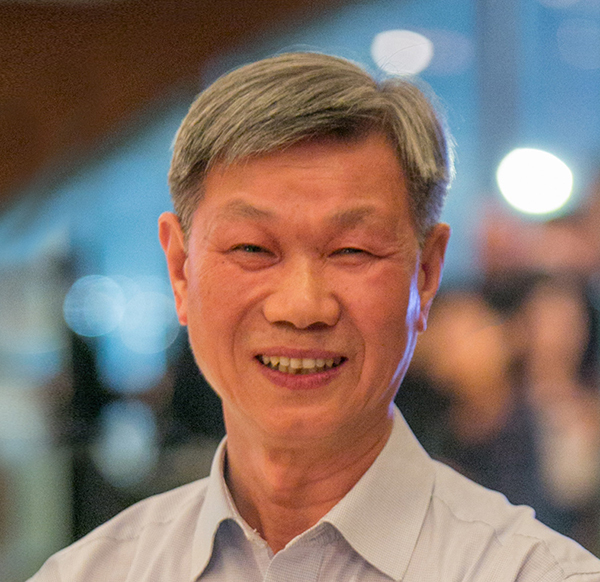 KT So transferred to Pacific Basin in 2000 when we acquired the ship management activities of the Jardine Matheson group – a company that Mr So joined over 45 years ago! Our chartering team is our sales force, and our principal focus comes from the genuine belief that investment in long-term relationships with customers far outweighs any opportunity to make short-term gains. As a result, my chartering colleagues and I are located across 10 commercial offices around the world giving us an in-depth knowledge of our customers’ businesses and their needs, as well as an ability to offer a personal service and localised support 24/7. Being in the same city or time zone as our customers allows us to sit with them on a regular basis before and after concluding freight contracts, both on a spot or long-term contract (COA) basis. COAs often develop from growing our reputation in spot trades with a customer and meeting them to discuss proactive solutions to their long-term freight requirements. Another important theme is flexibility. For example, we occasionally facilitate the changing of vessels assigned to a trade in order to satisfy a customer’s preference for a larger ship even though we would have been within our contractual rights to present the smaller ships. We understand our customers have different and changing requirements and so we strive to deliver above and beyond what is simply in the contract. In good and bad freight markets, our mission remains the same – to fulfil our customers’ expectations as an absolute priority. Our global Human Resources (HR) and Administration function is the Company’s internal service centre. We service the HR needs of the overall organisation through our roles in recruiting and retaining employees whose skills are aligned with their jobs, finding the right balance between staffing costs and productivity, implementing HR policies and processes, and spotting issues ahead of time and helping managers address them. However, my team’s more routine focus is in providing our 330 internal customers – our senior managers, line managers and employees – with the responsive, proactive and professional support they need to be healthy, happy and productive members of the Pacific Basin team. Pacific Basin staff spend over half their daily lives living and working in our offices around the world, and so it is imperative that we stay in close touch with each of them and do what we can to make their Pacific Basin experience enjoyable and fulfilling so they can approach their work with the right tools and attitude. We address their workplace needs with passion, enthusiasm and dedication so they can focus on servicing the needs of our external customers in much the same way. We hope that the dedication we show in looking after our staff enhances their ability to go the extra mile for our external customers, such that Pacific Basin takes a step closer to becoming the partner of choice for its customers as well as its staff. 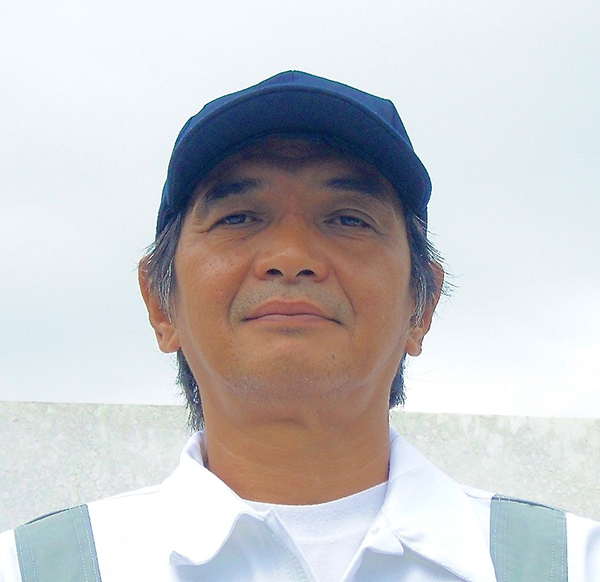 I am part of the team that manages the technical operations of our fleet of over 100 owned ships. Our focus is to keep our ships up and running while giving our highest priority to safety and reliability. My own particular specialty is safety. We look to international mandatory codes and voluntary best practice guidelines as a starting point in our approach to safety. However, our commitment to safety is comprehensively manifested through our Pacific Basin Management System, and innovative initiatives and significant investment in seafarer training that often exceed mandatory requirements. I enjoy collaborating with colleagues ashore and at sea to identify potential safety and productivity issues, and to refine our processes to address them effectively. The greatest fulfilment in my work comes from seeing the real results that this brings. In recent years, we launched an on-going campaign comprising five focus areas to "Make Complacency History". We also launched our "5 Levels and 5 Rules of Leadership" concept to develop our crew as leaders at sea and to strive for success for themselves and their colleagues. It's about making a long-lasting impact on our crew who in turn enhance our service and make us stand out in our industry. We work hard to tackle our responsibilities. I believe my focus on maximising the safety of life at sea and the environment is enhancing the long term sustainability of our business and setting an example for our whole industry to do the same. 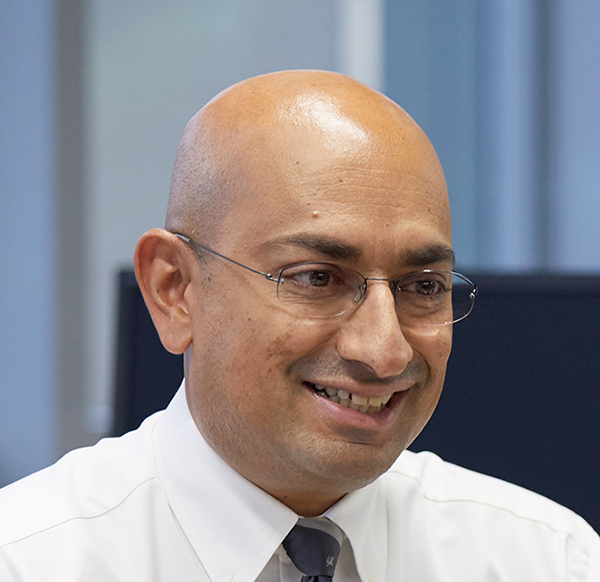 Uttam Kumar Jaiswal is General Manager, Marine, with responsibility for the safe operation of our fleet and for ensuring our policies, practices and routines meet or exceed industry requirements. 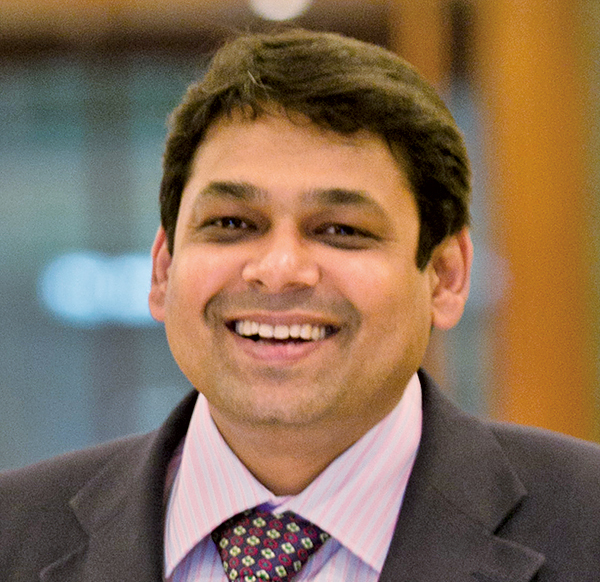 Uttam plays a large part in the safety programme and performance that has won Pacific Basin several awards in recent years, including International Bulk Journal’s award for safety and Seatrade's Corporate Social Responsibility Award in 2017 and the safety award at Lloyd's List Global Awards 2016.